This VIS image is located on the margin of Tempe Terra near Chryse Planitia. Several channels are visible as well as tectonic features. 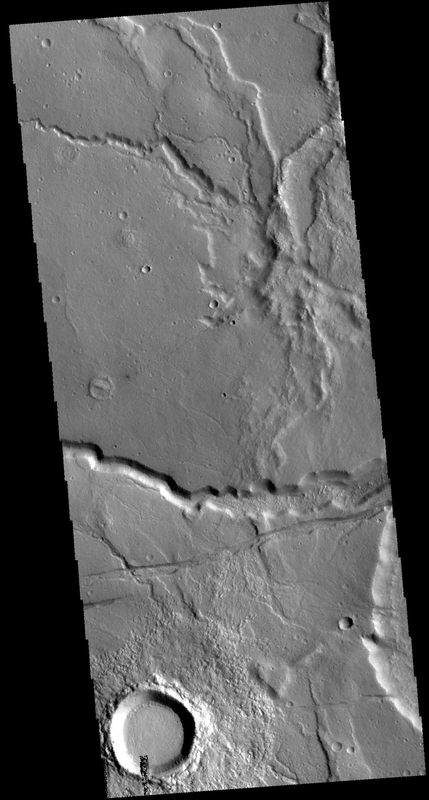 The linear feature below the channel is most likely a graben, where two bounding faults cause the interior material to be lower that the surroundings.